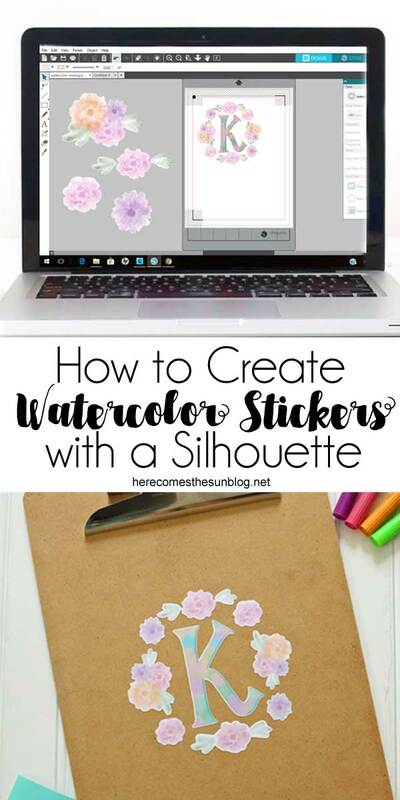 Learn how to make watercolor stickers with a Silhouette machine! I don’t know about you but I just adore anything watercolor. Lately I have been really loving watercolor stickers. 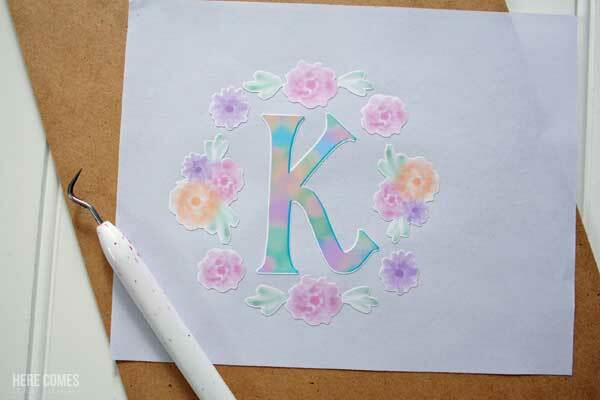 Did you know that you can make your own watercolor stickers? It’s so so easy. And if you have a Silhouette machine, things just got a whole lot easier. 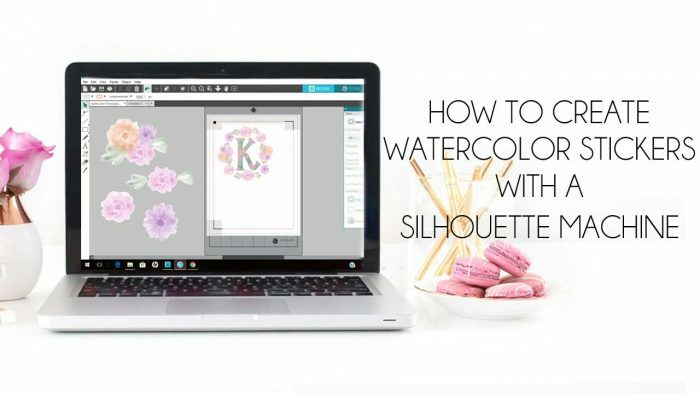 Today I’m going to show you how to make watercolor stickers with a Silhouette. watercolor clip art. You can access the files in the resource library, below. The first thing you need is to get ahold of some watercolor clip art. I have created this floral clip art for you to use but if it is not your style, you can find tons of watercolor designs on Creative Market and Design Cuts. I also have some free watercolor splotches, blue watercolor clip art , pink watercolor clip and a watercolor spring wreath that you can use. You can also find my list of watercolor recources here. If you learn better via video, scroll down! Ok… so now that you have your clip art, upload it into Silhouette Studio and arrange it how you want it. 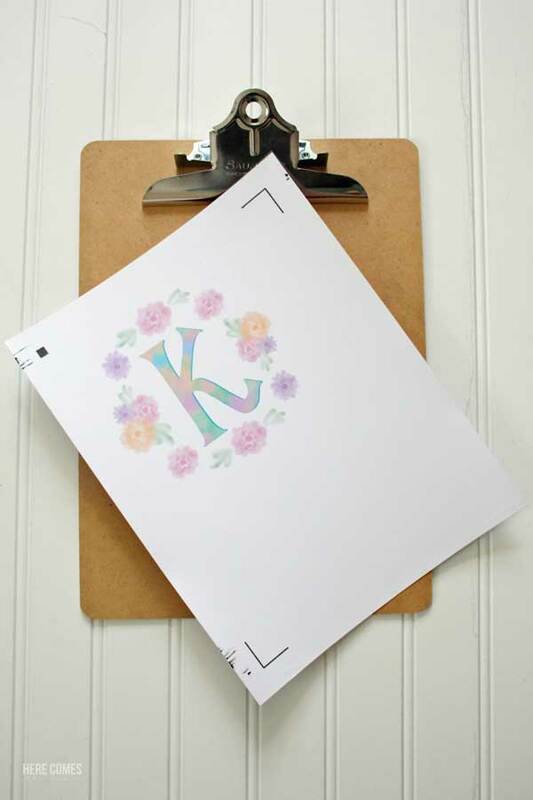 If your initial happens to be “K”, you’re in luck because the letter is included too. Once you have everything in place the way you want it, open up the TRACE function (butterfly icon), hit “Select Trace Area” and select everything. Play around with the Threshold feature until everything is yellow. Then hit “TRACE” and the outlines of the shapes will be traced. These outlines are the cut lines. Next, add registration marks by going into the PAGE SETUP panel and click on the icon in the upper right. From the drop down, choose Type 1. 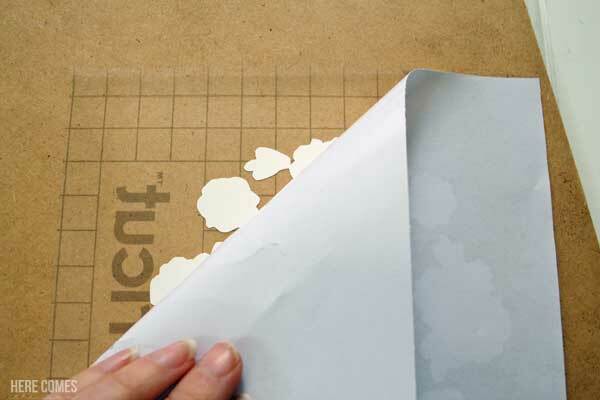 Place sticker paper into your printer and send your file to print. Once your file is printed, feed it into your Silhouette and hit SEND in the upper right. Then click AUTOMATIC and REGISTER and the Silhouette will register the marks. If it fails to register, try using the MANUAL MODE. My machine doesn’t work very well on automatic so I have to use manual a lot. Once the Silhouette is done registering the marks, it will then cut out the stickers! 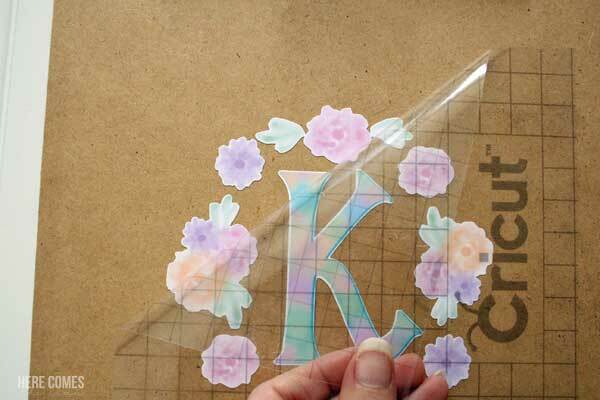 You can then weed your watercolor stickers and use transfer tape to place them on any surface. I’ve found that it’s easy to get the stickers to stick to the transfer tape if you roll back the sticker paper from the transfer tape like shown below. Once the stickers are on the transfer tape, position it on your surface and peel the tape off. 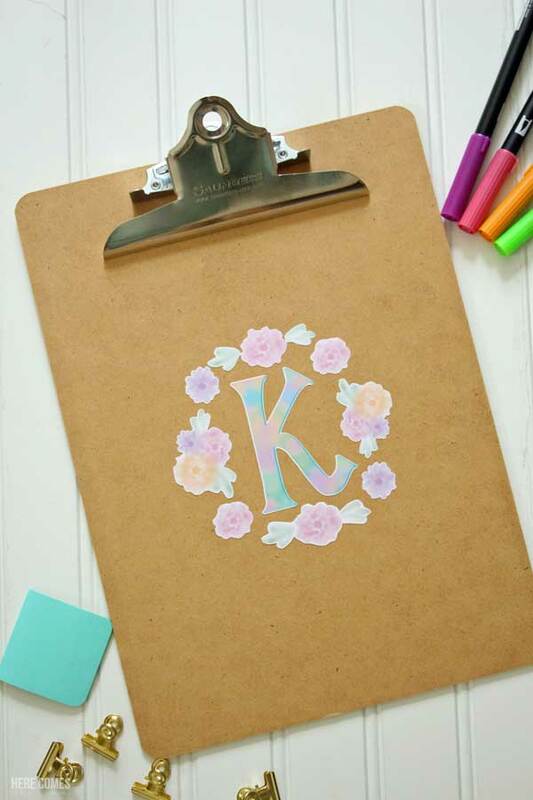 I used my watercolor stickers to make this cute clipboard but you can put vinyl stickers pretty much anywhere. I was planning on using the stickers to personalize a tumbler but after I opened the sticker paper I found out that it wasn’t waterproof so putting it on anything that was going to get wet was a definite no-no. If you want to use these stickers on a tumbler, I would suggest using waterproof vinyl and hand washing your item. I’m ready to watercolor sticker ALL.THE.THINGS. What about you? 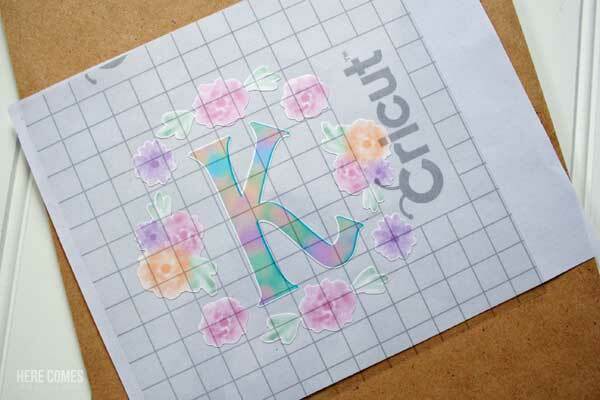 What will you use your watercolor stickers for?